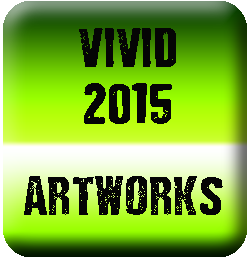 So 2016's Vivid was outrageously successful. Over the course of 3 weeks over 2.3 million visitors from Australia and Around the world decended on the Harbour City of Sydney to see the amazing instalations light up the sky and buildings across the city as well as Chatswood and Taronga Zoo. We were there to capture it all and you can see across the Vivid Project on this website everything we managed to film and photograph. 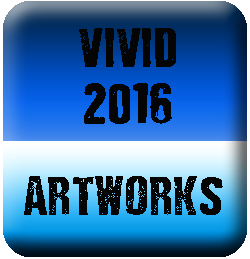 I created over 20 original Vivid Artworks and continue to work on new Vivid Artworks as Vivid for me is a year long adventure in creativity. Although I got rather ill during the Vivid Festival I was able to wrangle my husband into continuing filming on nights without rain. After Vivid was over I got a Bubble Mail from a newlywed husband in California Usa. Telling me how happy he was to be able to purchase Cushions with my Photographs of the Sydney Opera House for his new wife who was celebrating her birthday. They had honeymooned in Australia and were able to be in Sydney during Vivid. Although I sell my Art worldwide I don't often get personal mail from my customers on why they are buying my artworks, so this was a lovely insight into how the "Jane Holloway vivid Experience" was impacting on a young couple in the USA. Another year over and a new Vivid to film and photograph and create will be coming again in 2017. I hope that Visitors to this website got a real treat to see Vivid through my eyes. Below are the links to photography and Artworks availble for sale.